The Celts didn’t had well organized doctrine, but different textual evidence, archaeological or iconographics can give us an idea about how were they thinking. However, do not forget that in fact, many aspects are related to the history of Greco-Roman imagery. Glancing through what we have left of the Britons and Irish, maybe we can open a window into certain attitudes and behaviors. The Celts were simple and spontaneous, and they were helping any forlorn. What we have here is part of a portrait of the Gauls made by Strabo, following Poseidonios  and these features are mentioned by Caesar too in his comments, saying they didn’t hesitate to jump in aid the neighboring populations. Also, they knew the laws and rights . Many of their habits show great respect for individual liberty, to give just one example, women seems to have been somewhat less rigid than in the East and classical world. Among all the suitors, she had the freedom to choose the one she liked . This freedom it is suggested by the traditions that tell about the founding of Marseille, specifically, the custom to offer the bridal cup. And the story of beautiful Cammie , told by Plutarch  leads us to the same conclusion. Cammie was a Gaelic Priestess whose husband was killed by the treachery of another warrior in love with her. He will constantly harass Cammie, manipulating her and her parents, attracted by the money of gaul head . At one point she seems to fail, but in the wedding day she makes a libation, drink from the cup, then offers it to the warrior that sip it right away. Cammie cried happy that she avenged her husband and now she will meet him again, because the cup was poisoned. Caesar tells us that the girl’s parents were bound to bring a dowry, but the husband had to come with some goods too that were jointly administered . The woman was therefore husband’s associated, her liberty manifested by the ownership. The Gauls didn’t had only family associations, but of warriors too, ie, a group of young people who served loyally an experienced leader. The devotion was considered an honor, as Polybius tells us , and we can connect it to Celtics contempt for death, often cited by the ancient historians. Their bravery, as with other people that classical sources are talking about , is attributed to the belief in immortality, a “doctrine” taught by sages called Druids. The druids didn’t formed a hereditary caste as in India or Egypt, but were recruited by their own choice to join, without meeting any other condition than that to gain knowledge and to share it. Because the Druids were not just magicians and metaphysicians, but astronomers, physicians, moralists or jurisconsults too . It is an association of mystic scholars who were not engaged in war or other matters or civil functions, which Strabo mentions that they teached natural law and the individual constitutions of the states . In their view, the world made of souls was immortal, possessed, in turn, by water and fire. Caesar and Diodorus allude to some sort of belief in metempsychosis, because souls would pass into other bodies when completed during the current existence. 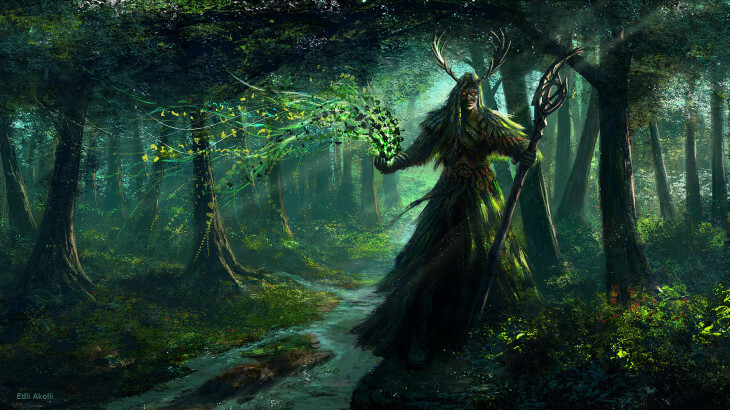 The poet Lucan in Farsalia, addressed the Druids even admiring words, “those who dwell in the depths of the forest, only you can know what are the gods and heavenly powers! If it were to be believed, the shadows of the dead are not going to seek rest in the silent abodes of Erebor deep, nor the pale kingdom of the dark abysses god . The same spirit takes another form and conquer another body in another sphere. The death is nothing but a moment of a long life. 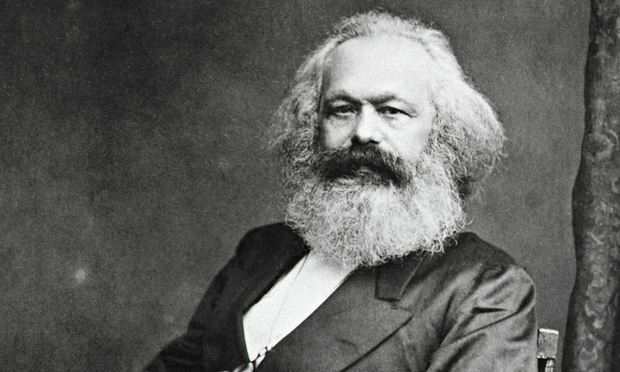 The belief in immortality and the idea bind reward and punishment, only that this was a way of atonement and progress, wasn’t something forever. Soul finally had access to another world, of happiness, which retained its identity, feelings and experiences of earthly existence. At the funeral, there was the custom to be burned the letters that the alives brought to the deceased, to be read on the other side. Could happened that those remained alive to lend money that they had to get beyond, from here the Gallic habit of not having debt . The symbol of immortality for Druids was the mistletoe, which is attributed miraculous powers. It received from the oak, the image of divinity, the life-giving sap. It was somehow a metaphor for individual life, protected by universal being . Was used to collect mistletoe in the winter , when there were left only green leaves, to become the ultimate symbol of life amid the sterility of nature. Esus, the powerful god of the Gauls, has a discovered representation from Paris where it breaks with their hands the mistletoe from the tree. He was also called Chrome / The circle, suggesting the infinity. This idea of infinity seems to follow from circular shaped layout of dolmens and cromlechs, the giant stones. So in the celtic mind we have the signs of a divine principle of eternal life that inspires courage in war and contempt for death. But the Druids weren’t good only at the propagation of such philosophy. Was insisted a lot on their role as priests first, then as judges and doctors, but do not forget that a ‘invisible’ part was the stimulating of Celtic unit. The dispersion that characterized the Celt society would have led at some point in the disappearance of populations of Celtic origin, because of the lack of centralization. The Celts had only the habit to meet regularly in large numbers for religious celebrations, occasions and for amusement or judicial settlement. The Omphalos, sacred centers, were the context that favored the maintenance of the unity of language, customs and beliefs. Druids were omnipresent. Celtic Area was more a kind of spiritual ’empire’ with capital on the carnuti territory near Saint-Benoit-sur-Loire and all headed over there. In Ireland there was even a King of the Druids. What was this mass of scholars? Disciplining society united by thought and feeling. For the Romans it was necessary to suppress the order, the heart of Celtic society, so that in the time of Tiberius, Cornelia law punished the Druids with death . An interesting aspect of Druidic ‘doctrine’ and pagan world in general, is the accent on rituals, not dogma. Union with universe was perceived without effort, without prayer, and obedience to the natural forces was accepted without question. Druids had small wood temples available, only one piece with an effigy surrounded by a peristyle, the fanum often on the highs and palisades around. Ceremonies were held in clearings of dedicated forests that were taking the nemeton name, sanctuaries. In the Quimper area, today is one left named Nevet. Sacrifice was the main act of worship, entailing three possible reasons. human gift in exchange for Divine gift , in which case the victim was honored as a fallen hero in battle. Rite of purification by criminals or prisoners of war which symbolized the dirt tribe. Sacrifice to quench the gods. The custom of bury the body of a victim in the foundation of a wall is kept even in Christian Celtic legends. The idea of sacrifice is part of the line of thought of immortality. We could say that we are in the Celtic in a back and forth continuously with the other world. The ancients spoke about the islands surrounding Celtic, havens land under the scepter of the gods, a beyond world but always communicating with the living. Freedom and immortality. But unity of creation too. Example of animal gods suggests perhaps a best ambiguous pantheism, where the soul may take the appearance of an animal, without suffering degradation. Gallic Legion that conquered Jerusalem had the emblem of a boar, that the Romans interpreted it as a deity corresponding to Mercury. In Gaul are raised altars to Mercury Artaios (bear) or Moccus (pork). Epona always appears along horses. Creation in Celtic’s vision has unity. 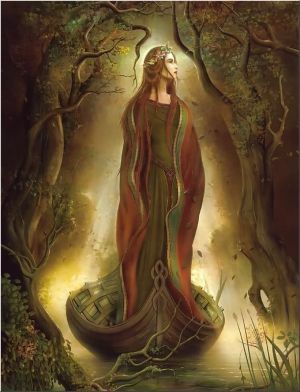 There would be much to say about Celtic religiosity, local polytheism but unified, Druids importance or legendary Celtic insular literatura, with a rich mythological content, ideals of honor, etc. We will return to this issue, but currently only say that Celtic society in its great Indo-European tradition, is distinguished by its archaism. There is no notion of personal God, dogma, atavistic guilt. In the more specific organization domein, is excluded, as in the germanics, notion of state. many features approaches it to old periods: skills hunting , blood alliances, ‘giving’ system, a sort of heroic renunciation of property. 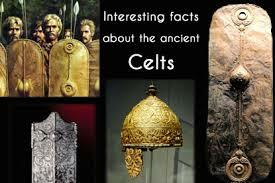 Celts are brave, dream to achieve spiritually even through war. In this key must read stories about chain massacres, gigantic greed or Cuchulainn’s amazing contortions. It is the desire to be more, uncommon. 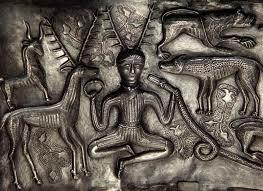 The Celts believe in resurrection too, attested in numerous myths and symbols. The cauldron is its absolute symbol. Its presence under the horse’s belly complements his aura of sacredness. We find sacredness everywhere. On most Armorican coins we see a knight on horseback throwing a spear which has at one end a ground consisting of a square cut two diagonal and garnish with five spheres. It’s the vexillum, roman military insignia , strange because armoricans hadn’t met the romans yet. But in a classic scene with a knight on a donkey, which shows him a carrot to stir in place, the situation is clear. Number 5 is the uninterrupted movement sign . We have, therefore, a representation of the life race to resurrection, after death. Hidden History, Revealed Misteries, Thruth about Religion archaeological, archaism, astronomers, blood alliances, bravery, Caesar, Cammie, Celts, cromlechs, Cuchulainn, Diodorus, Erebor, Farsalia, Gaelic Priestess, gaul head, Gauls, Greco-Roman imagery, hereditary, iconographics, individual liberty, Indo-European tradition, jurisconsults, King of the Druids, Lucan, metaphysicians, moralists, neighboring populations, physicians, Plutarch, polytheism, Poseidonios, punishment, Quimper, religious celebrations, Sacrifice, Saint-Benoit-sur-Loire, skills hunting, Strabo, teached natural law. permalink.